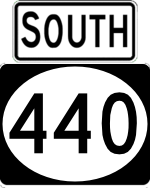 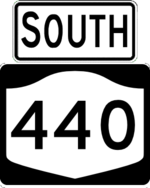 NY 440 is a freeway on Staten Island that connects the two segments of the NJ 440 freeway. 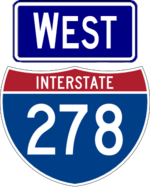 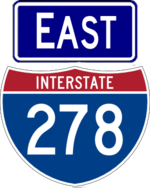 It follows the West Shore Expressway and the Dr. Martin Luther King Junior Expressway (formerly the Willowbrook Expressway, originally Willowbrook Parkway). 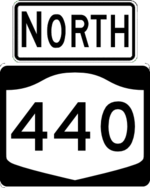 The former Willowbrook Expressway ends at a stub at Victory Boulevard; it had been planned to extend south to the Gateway National Recreation Area (formerly Staten Island Marine Park) but was cancelled due to resident opposition.